In response to the growing numbers of patients diagnosed with cancer the Queen Elizabeth Central Hospital (QECH), Blantyre, Malawi established the country’s first oncology unit in 2010. 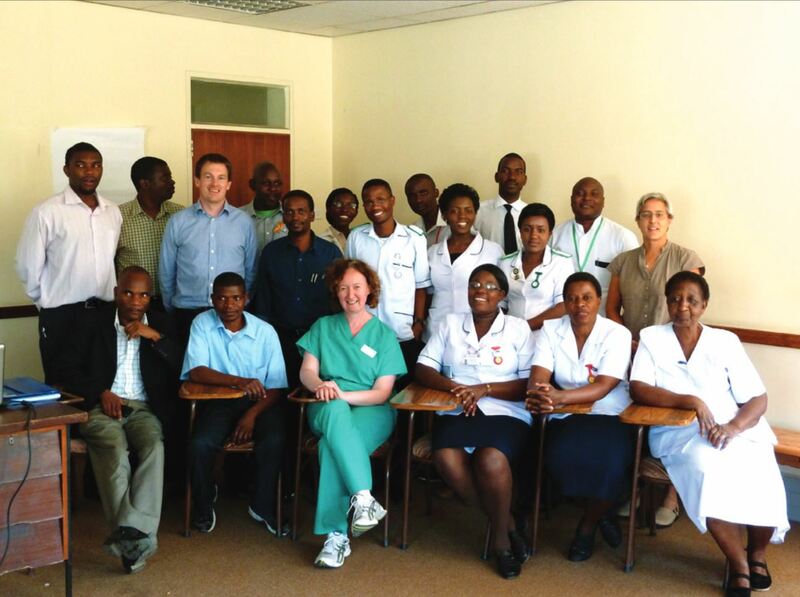 A healthcare partnership was established between the Edinburgh Cancer Centre, NHS Lothian, and the QECH oncology unit in 2012 with the principal objective of establishing high quality multi-disciplinary cancer care in Malawi. and robust evidence-based protocols that support most clinically effective and safe evidence-based practice. The development of an integrated cancer and palliative care unit at Queen Elizabeth Central Hospital, Blantyre promoting high quality, safe and effective treatment for patients with all stages of cancer. Development and implementation of oncology and palliative care protocols for treatment of common cancers including Kaposi sarcoma, lymphoma and breast cancer. To achieve and demonstrate improvement in breast cancer treatment at Queen Elizabeth Central Hospital, Blantyre through development of multi-disciplinary care and enhanced pathology. Development of systematic follow up for patients with all stages of breast cancer informed by qualitative work on compliance with treatment. This grant is led by Dr Ewan Brown, with Global health Academy members Dr Dermot Gorman, and Professor Marie Fallon. Funding for both projects (2013-2018) has been given by the Scottish Government International Development Fund for Malawi.